Southend Carers is delighted to announce it has bagged £4,000 from the Tesco’s Bags of Help community grant scheme. Bags of Help is run in partnership with environmental charity Groundwork, and sees grants awarded to thousands of local community projects every year. Since launching in 215, it’s provided more than £71 million to over 23,000 local community projects. 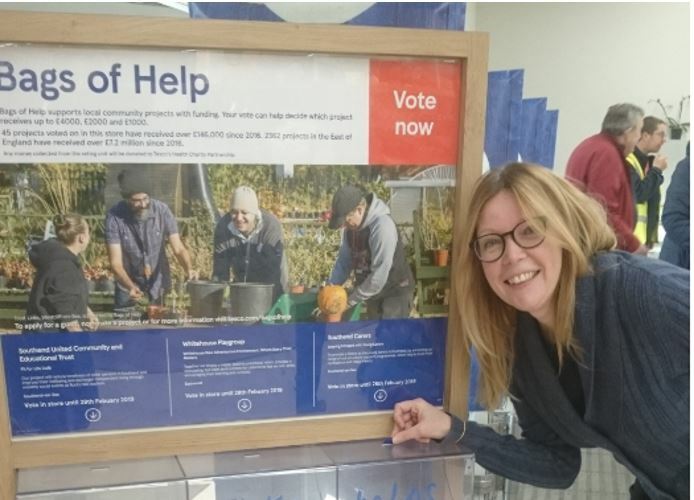 Millions of shoppers have voted in Tesco stores up and down the country and it can now be revealed Southend Carers has been awarded £4,000. Work will now begin on bringing our project to life which will enhance our Young Carers programme of activities in the Southend area.